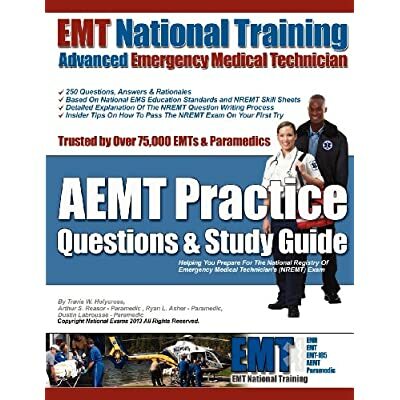 EMT National Training known for its exceptional NREMT exam preparation website has now made a selection of NREMT Advanced Emergency Medical Technician (AEMT) practice questions available in printed form. 250 questions, answers, and rationales will help you understand where you need to focus prior to taking the actual certification exam. Practice questions come with a study guide that explains how multiple choice questions are constructed as well as advice and insider tips for passing the NREMT AEMT exam. Over 75,000 EMTs and Paramedics have trusted the online version of EMT National Training and this is your opportunity to do the same. The authors are the owners and instructors of EMT & Fire Training Inc. an internationally recognized EMT and firefighting school that is accredited by the Continuing Education Coordinating Board for Emergency Medical Services (CECBEMS).